Fort Worth, TX based Vertical LLC, d.b.a. Altitude Trampoline Park, has announced an agreement is in place for a 25000 sq. ft. facility in, Mobile, Alabama at 3659C Airport Blvd. Fort Worth, TX based Vertical LLC., d.b.a. 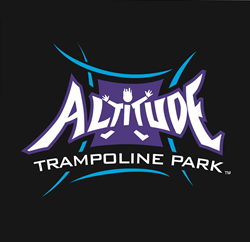 Altitude Trampoline Park, has announced an agreement is in place for a 25000 sq. ft. facility in Mobile, AL. Company officials state that facility preparations on site have begun and they expect to have the newest Altitude location in full operation by the summer of 2016. Altitude Mobile will have large party rooms and plenty of in-park party areas for birthdays, corporate team outings, church groups, sports teams or any size group who is ready to jump high and burn off some energy. Altitude Trampoline Park will be one of the largest trampoline parks in the state of Alabama and is thrilled to bring this high flying one of kind attraction to the Mobile community. Altitude Mobile will have a massive amount of interconnected wall to wall trampolines and attractions. The indoor park will include a variety of specific activities such as 3D Dodgeball, Basketball Dunking Lanes, Kid Zone, Foam Pits, Gymnastics “tumble tracks,” large main court and Altitude’s one of a kind battle beam. “Our parks offer state of the art equipment, high energy entertainment at affordable prices for families, groups and more. Altitude Trampoline Park places a sharp focus on providing a safe, clean, family friendly environment that will set our park apart.” – Jeff Rutten- Altitude- COO. Altitude Trampoline Parks began operating three years ago and are rapidly developing across the country and internationally. Current locations operate in Fort Worth, Texas, Billerica, MA, San Antonio, TX, Little Rock Arkansas, Bossier City LA, Rochester, NY, Grapevine, TX, Denton, TX, Monroe, LA. Opening now are locations in Cedar Hill, Texas, Glen Carbon, IL Fayetteville, AR, Lubbock, TX, Katy, TX and Austin, TX with several others scheduled for 2016 in O’Fallon, MO, Jacksonville, FL, and Houston, TX. Visit our website at http://www.altitudetrampolineparkmobile.com for employment information, opening dates and birthday party reservations. Like us on our Facebook page Altitude Trampoline Park – Mobile to see exciting park developments and special information on our grand opening festivities coming this summer.